Limited tickets. 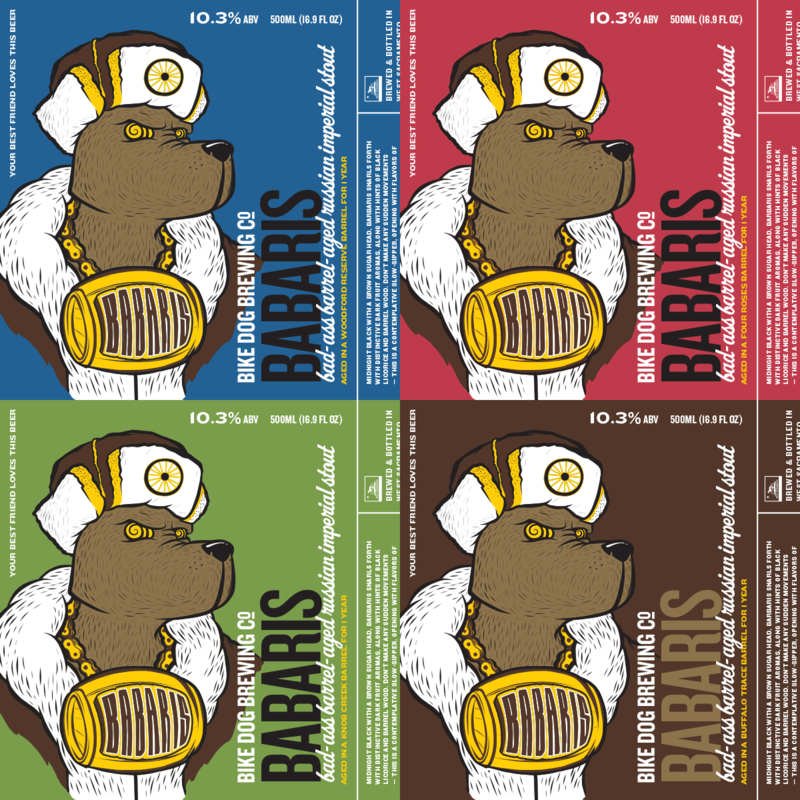 You’ll receive a five ounce taster of each of the four BABARIS’s aged in different bourbon barrels for a year along with a Bike Dog branded glencairn glass. These glasses are perfect for the brown spirits or barrel aged beers and won’t be available for sale to the general public. You’ll have early access to purchasing the 4 bottles a day earlier than everyone else. This will be a fun evening tasting and chatting with bartender Stephen Berry about the beers and the bourbon that gave the beer the character.